阿健的画廊: should i be serious?! 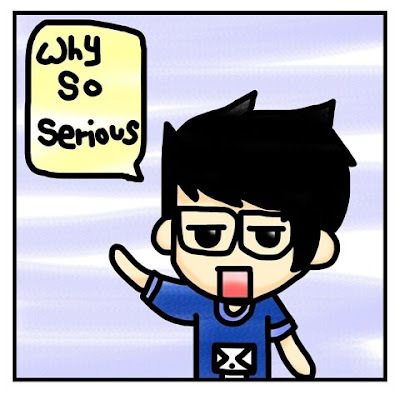 i am tat not serious?! serious bery tired one wor....owes need to say something not funny....say something make ppl wanna sleep...why go out...must got some ppl say something funny baH~cant owes say something serious....stupid oso bring happy to others...so why so serious? !